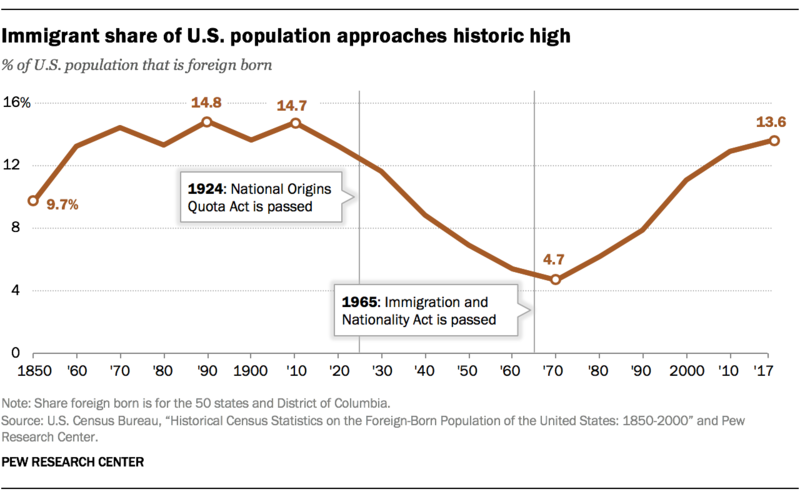 The foreign-born population in the U.S. grew substantially during the late 1800s, when immigration from Europe and elsewhere brought millions of new residents to the nation’s shores. In the 1920s, the U.S. adopted a series of more restrictive immigration laws, eventually leading to the establishment of a national-origin quota system in 1924 and a subsequent decline in the foreign-born share of the nation’s population. That immigration system was not changed until 1965, when the Immigration and Nationality Act created the same overarching immigration laws that the U.S. still uses today. 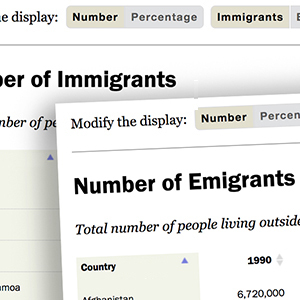 Since 1965, at least 59 million immigrants have come to the United States. 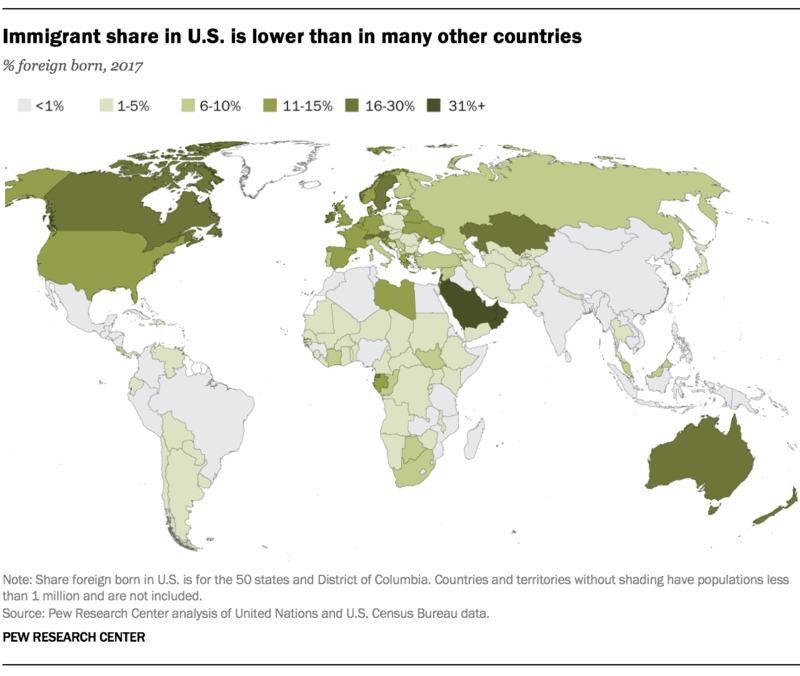 Even though the U.S. has more immigrants than any other country, the foreign-born share of its population is far from the highest in the world. In 2017, 25 countries and territories had higher shares of foreign-born people than the U.S., according to United Nations data. Foreign-born people also accounted for a substantial share of the population in Australia (29%), New Zealand (23%) and Canada (21%), as well as in several European countries, such as Switzerland (30%), Austria (19%) and Sweden (18%). The share of foreign-born people has changed over time in many nations, just as it has in the U.S. Several European countries, as well as other immigrant destinations (Canada and Australia, for example), have seen steady increases in recent decades. But some nations have seen their immigrant shares drop. In several Central and Eastern European countries – such as Latvia and Estonia – more people are leaving than entering, and remaining immigrants are getting older and dying, all leading to a decreasing share of foreign-born people. In several immigrant destination countries, larger shares of publics want fewer or no immigrants to move to their country, according to a Pew Research Center survey conducted in the spring of 2018. However, support for taking in high-skilled immigrants and refugees fleeing war remains high in some destination countries.